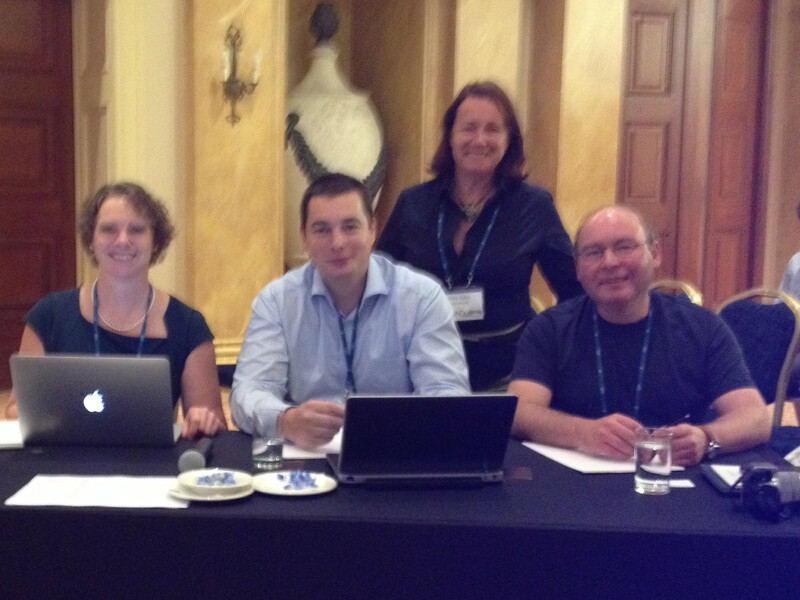 On Monday 14th and Tuesday 15th of October I attended the TAUS Annual Conference in Portland. TAUS has grown from a small gathering of translation buyers into a 140 member strong group of translation industry thought leaders. I like TAUS because of this: not only attended by people who talk about translation innovation but also have the authority within their organizations to implement it. 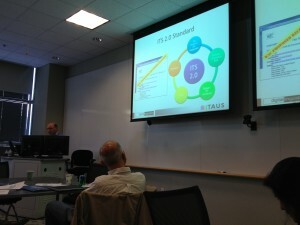 TAUS’s current strands of research are Data (shared data for machine translation training), Technology (machine translation, workflow), Interoperability (Linport) and, Metrics (Dynamic Quality Framework). The Keynote speaker was Genevieve Bell of Intel. Consumption and Creation. Interesting notion of binge consumption. Multi-tasking and “In the Flow”. Applications knowing about aspects of the user and being able to act upon them: e.g. disable phone ring when praying. Understand what’s going on at a particular time. Know if a person can be disturbed. Humans know when they can interrupt each other. Tailored and Surprised. Rather than have analytic’s prompt you to do something familiar, prompts you about something you may be interested/surprised (in a nice way) about. Currently things that machines “predict” can leave users feeling “freaked out” or “uncomfortable”. First time hearing under 25’s being called “Millennials”. Human machine interaction. No more command and control but more human computer relationships based on listening and negotiation. Difference between text and touch is that touch has not received a lot of television imagery. So expectations are lower. Translation expected to be 99.1% accurate. Touch expect to be 70%. Kenneth Klein, OmniLingua: Hot air/Cold air collisions. Result: severe weather. V = (q x s) / (c x t). Buyers determine value. Shift activities to those who provide most value. Andrew Bredenkamp, Acrolinx: “Transactional Content”. Do something with the content. Readability, liveliness, scanability. Jessica Roland, Gengo: Different content types need different strategies. Stuff is hoarded / Fluff is shared. Scarcity versus abundance. Andrejz Zydron: Industry leverages academic research: technology and standards. The afternoon session was definitely a rare occasion to witness (and kudos to TAUS for arranging it): A panel entitled “Criss-cross the globe serving six billion customers all at once.” comprising Alolita Sharma, Wikipedia; Diane Wagner, Microsoft; Francis Tsang, Adobe; Iris Orris, Facebook; Jack Boyce, Google; and Karen Combe, PTC. Alolita Sharma: Wikipedia today supports 287 languages. Wikipedia builds sophisticated tools to support the variety of languages and then releases them as open source. Google: 60 core (95% of world population) also looking at physical and infrastructural issues. Adobe: mission to create interesting content. 25-30 language production languages. Jack Boyce, Google: Sustained long term engagement from community except in isolated instances. Iris Orris, Facebook: Communities come to Facebook and ask for help with infrastructure and tools. Google uses the number of pages that Wikipedia has in a particular language as one of its ROI data points. Reading, writing, tagging, searching: all have to be available as a native experience. Human Computation. Carnegie Melon University. Great conference. Input buffers full. This entry was posted in Uncategorized and tagged TAUS on October 14, 2013 by admin. 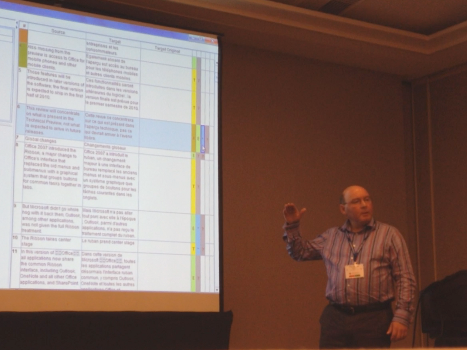 Last week I gave two presentations in Silicon Valley: “Okapi Ocelot – Okapi’s New Editor” at the Localization World Using Standards to Improve Workflow pre-conference day and “Using Open Standards to Automate Quality Management” at the TAUS Translation Quality Evaluation Summit. I didn’t get to many of the Localization World Conference sessions but did have plenty of interesting conversations with industry friends. This entry was posted in Uncategorized and tagged Localization World, Ocelot, TAUS on October 13, 2013 by admin. I am just back from the European Language Industry Association (ELIA) Networking Days event in Malta where I was one of the speakers. (Thanks for the introduction Renato.) This was my first ELIA event and I was very impressed. The attendees were mainly the owners or senior management personnel of translation companies. The atmosphere was business focused yet informal, open and very friendly. The Keynote on day one was given by Sam Zindel of iCrossing. Sam started with a whistle-stop journey along the timeline of publishing history. Once we arrived at present day he talked about state-of-the-art techniques for “connecting brands to their audiences”. His style was fluid and lively and the content interesting and amusing. Content is delivered to searchers via Paid Search which uses supplemental data about them to deliver personalized messaging pulled from a store of content all about the same topic but written for different age, gender, social and other personal characteristics. New Google technologies: Loon and Voice Search. When teaching Brands to be publishers: Listen, (start a conversation), Create (content that is targeted to the audience), Engage (with the end user), Measure. C.O.P.E create once publish everywhere. Global content with localised curation. I followed Sam with my presentation entitled “Building A Language Quality Pipeline With Open Standards” where I talked about the various stands of research I have been involved with over the last four years and how I was able to pull it altogether recently in a desktop editing environment. (Keep an eye on this blog for more news on this over the next couple of weeks). I think it was well received. I’m eagerly awaiting the results of the feedback forms. After my session Juliet Macan took to the floor and gave me a reminder of the operational and business challenges of working with customers who are new to localization or at a fledgling stage of localizing. Many native document application handoffs, little or no resources (glossaries, etc. ); minimal process but plenty of demands: short turnaround times, high quality standards. At VistaTEC we have been dealing with mature IT clients for many years and it was reminiscent to listen to her talk. Other sessions that I enjoyed but couldn’t capture notes on were John Moran’s “It’s About Time: MT Evaluation and Pricing” and Spyros Konidaris’ and Michael Oettli “The Debate Series: Specialize or Do-it-all?”. It would be remiss of me not to say Thank You to my fellow diners at my conference dinner table for a very entertaining and enjoyable evening. It was a great opportunity for me to brush up on my Russian language skills which increased through the evening in proportion to the number of vodka shots I consumed. Next time some Irish Whiskey guys. A very enjoyable event where I managed to generate some Twitter traffic and new followers. That’s what networking is all about after all! This entry was posted in Uncategorized and tagged ELIA on October 3, 2013 by admin.